Are you looking to organise a special break for a larger group of people? 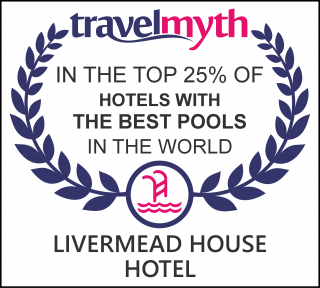 With ample space and excellent facilities, The Livermead House Hotel is ideal for bigger parties visiting Devon. Whether you travel with friends, colleagues, a club or society, we can cater for everyone. Our experienced staff will take excellent care of your group, and we have hosted all manner of touring parties and special visits, from dance meetings to landmark celebrations and business conferences. Get in touch with our friendly team today to discuss your requirements via email (info@livermead.com) or call direct on: (01803) 294 361. Discover great places to see and visit in South Devon, from special attractions to unique heritage sites.